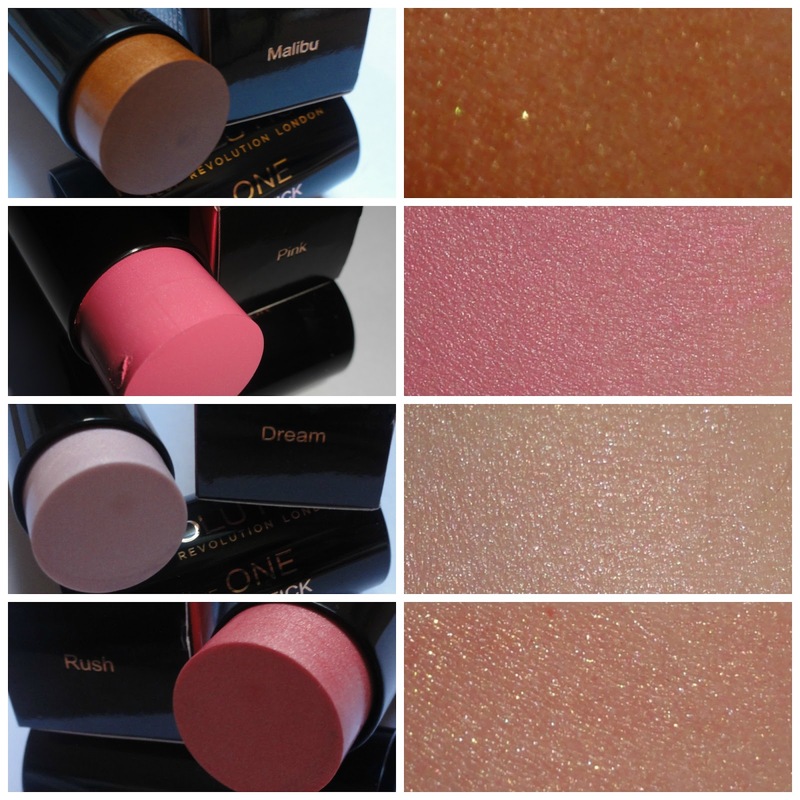 You've probably seen The One Blush Sticks by Makeup Revolution here, there and everywhere on the internet, in the space we call blogging. A little late on the bandwagon I'm sure, but here nonetheless. Makeup Revolution have come out with the one blush stick - eight of them in fact - and they've become some sort of a makeup sensation, and a potential dupe for the more pricier Nars Version (I've heard). The collection consists of eight multi use sticks, all creamy in texture with four being shimmer and four being matte. The packaging isn't labeled with their names (only on the box) but this isn't a problem because each bullet is either shiny or matte to suit the shades. 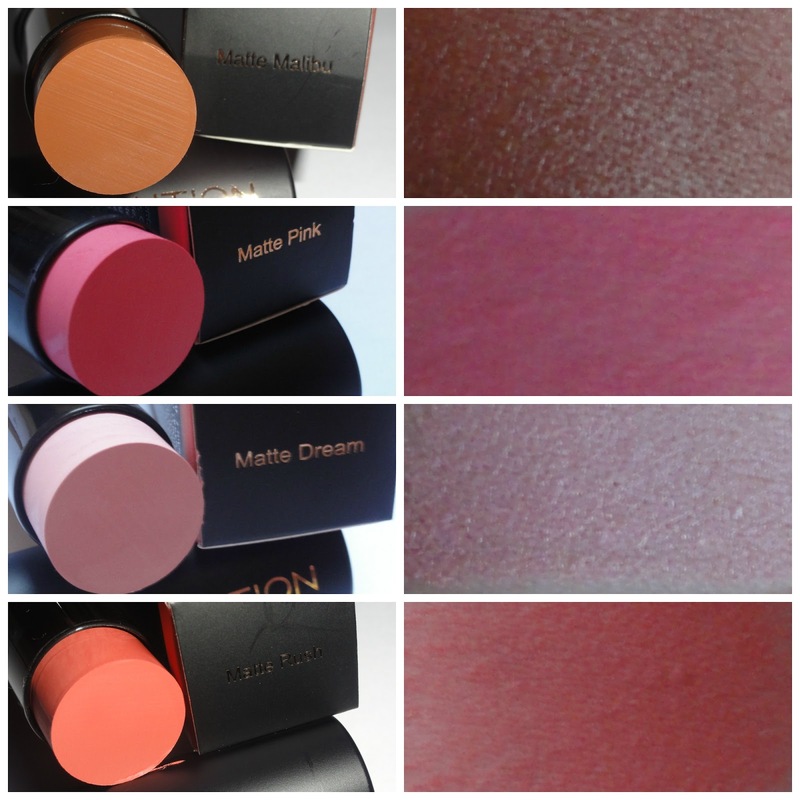 The Matte shades are; Matte Malibu, Matte Pink, Matte Dream and Matte Rush. The Shimmery shades are; Malibu, Pink, Dream and Rush. When I say multi use Makeup Revolution claim these are for lip and blush purposes, personally, I think they can be used for so much more, highlighter for one. Dream, especially, is such a pale shade but leaves behind the most beautiful shimmer making it perfect for highlighter rather then for using on lips and cheeks. Matte Malibu as the potential to make a great contour if used lightly and blended well. Each is highly pigmented, with great lasting power. Rush and Dream are definitely my favourites. These are a bargain £5.00 each and available to purchase online now! i love this post! i have recently discovered MUR and i love them! may have to pick these up. I'll definitely take a look at your post tomorrow. I've got to get off blogger lol. Been on to long! These look easy to use. Great post and review.